There are not enough adjectives in the human language to describe how immensely, inconceivably, indescribably vast the universe is. 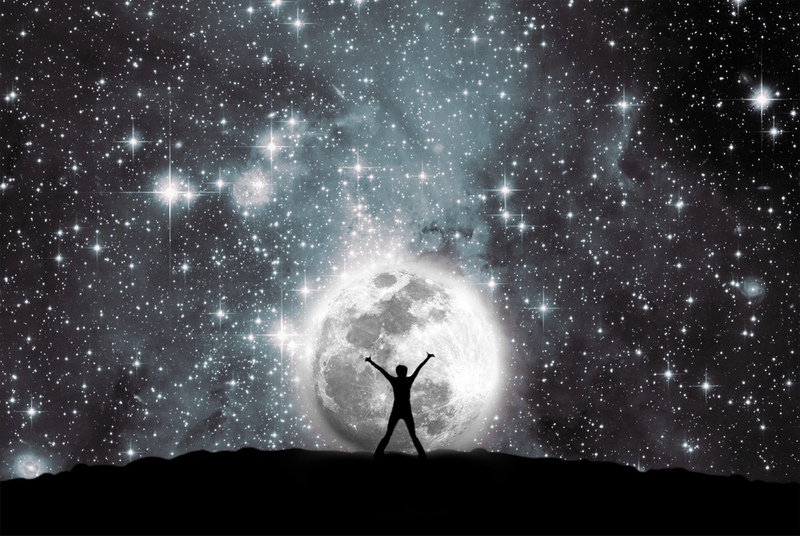 So how can we expect to convey the beauty of the universe to those without the time to dedicate their life to such pursuits if it requires us to warp our brains to succeed? Why do I bring up this mind-warping task? Because that is exactly what I had to do when I started working on my PhD. How could I expect myself to study the universe without a true sense of the scale of it all, and most importantly how could I do this without giving myself a planet sized headache. 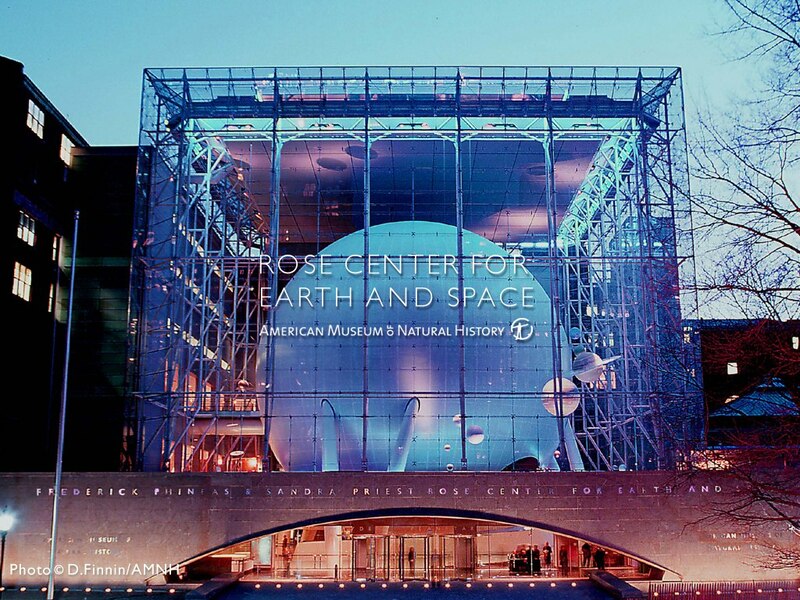 I was recently at the Rose Center for Earth and Space in Manhattan, just a week before Sandy hit. 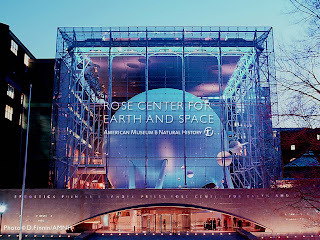 In the center of the Rose Center is the Hayden planetarium, an 87 foot diameter (23 meter) sphere suspended in the center of a giant glass cube that makes up the fascade of the building looking in from West 81st street. With the sphere as the central point the exhibits are displayed around and below its rotund shell. One of these exhibits is The Scales of the Universe, a 400 foot walkway around the glass edge of the cube surrounding the Hayden Sphere. The exhibit uses the Hayden sphere to take you on a journey from the smallest atomic particle to the expanse of the universe giving you a physical scale to wrap your mind around. Even then, with it placed in front of you the ability to visualize the 87 foot sphere as a raindrop or an entire galaxy requires some imagination. Over the past year I have been studying exoplanets and their atmospheres and desperately attempting to bring them down to an imaginable scale. I am currently looking at the hot Jupiter HAT-P-1b using the Hubble Space Telescope. The term hot Jupiter means that it is a very large planet orbiting very close to its parent star which when given the numbers floats solidly in the realm of the unimaginable. So where do you begin? Well I start with the Earth. How many times the size of the Earth is a hot Jupiter sized planet? Jupiter is in-fact just over 11 times the radius of the Earth, but HAT-P-1b is 1.225 times the radius of Jupiter; that is a further 2 ½ Earths. So having dealt with the size we now have to take a look at the orbital distance from its star. This is where the mind starts to boggle and we have to make our way in towards the center of our solar system to the closest planet orbiting our Sun, Mercury. Mercury’s orbit is almost 3 times closer to the Sun as the Earth, giving it a maximum surface temperature of 700 degrees, but we are not quite there yet. To get to the orbit of HAT-P-1b we have to go 8 times closer still at an orbit 95% closer to the Sun than the Earth. To draw it on a landscape A4 piece of paper the Earth would be a the size of a full stop at one end with HAT-P-1b a 1.5cm circle just 14mm away from the other end of the page that marks the surface of the Star; and you wouldn’t even be able to see the dot that would represent Mercury 11cm safely away from the star. If you look at the image below there is a scaled picture showing the size of HAT-P-1b in relation to the Earth and its orbit in relation to that of the Earth and Mercury with a zoom in needed on the orbit of HAT-P-1b. 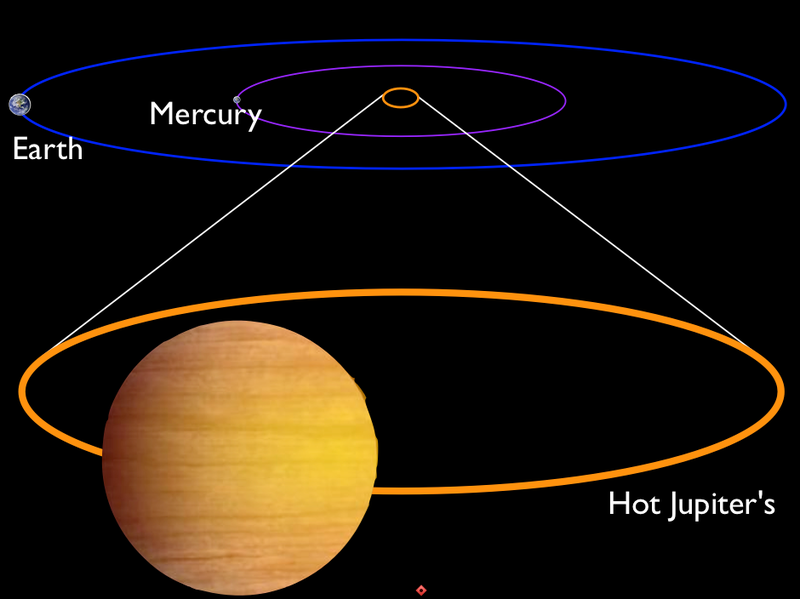 This shows just how close hot Jupiters are to their host star and helps explain the extremely hot environments detected for these exoplanets ~1500 K.
Nature offers us a unique opportunity to witness how scale can really put things in perspective via a remarkable coincidence, the solar eclipse. This occurs when the moon passes directly between us and the sun blocking out its light. 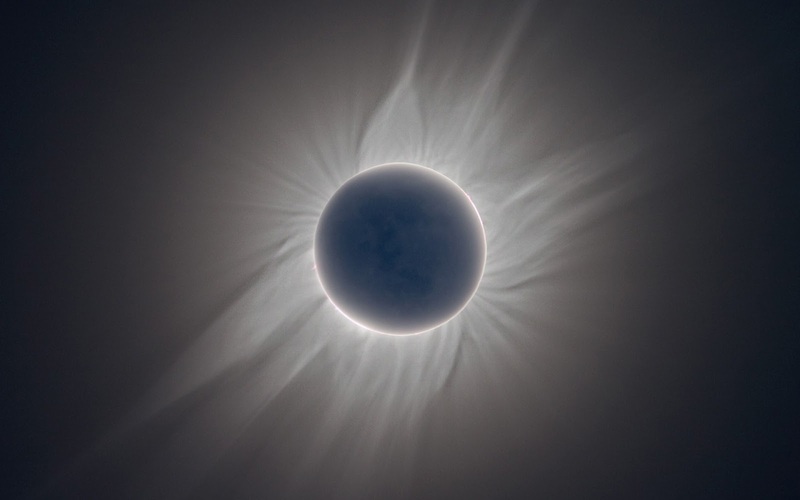 The Sun is 400 times the diameter of the moon and is 400 times as far away meaning that during a total eclipse the moon fits perfectly over the disc of the sun revealing the shining corona of its extended atmosphere. It is the equivalent of a pea orbiting a grape blocking out the view of a human sized sphere over a block away. So with a pinch of imagination and a tiny bit of patience the universe can be broken down to the scale of the world around us, where recognition and reasoning reside. There are so many different 'The Scale of the Universe' websites out there so if you are interested I have listed a few below.